Posted on August 19, 2018 by Andy Higgs in Eat, Drink and Be Merry, Europe, Places, Poland, Stay, We likey. 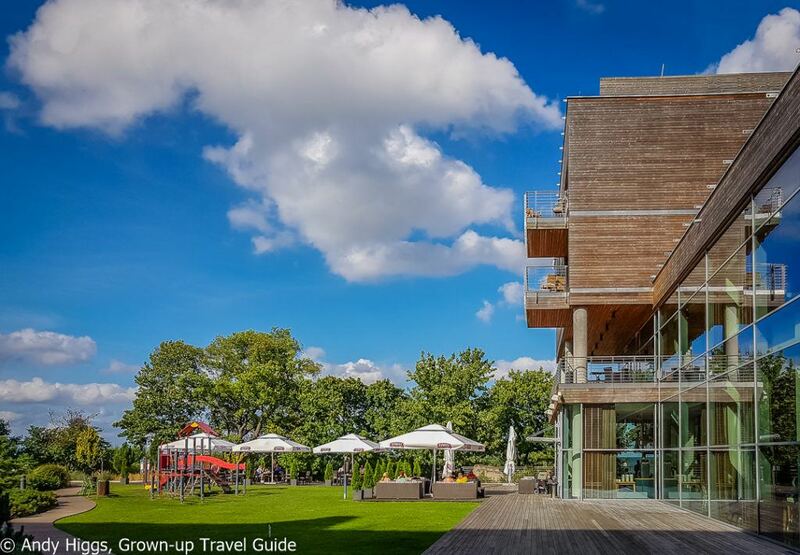 If you came here from my article describing the fun I had in Sopot, you will already be aware that I loved this hotel. If you didn’t, you are now up to speed with the rest of the readers. I reached that verdict after visiting for four nights in October 2017 (see picture above) when the season was well and truly over and both the hotel and Sopot itself were lacking in guests. And since both are primarily summer destinations, I really wanted to come and stay when the weather was warm and the resort was buzzing. As you can see from this snap, I did just that in early August 2018. 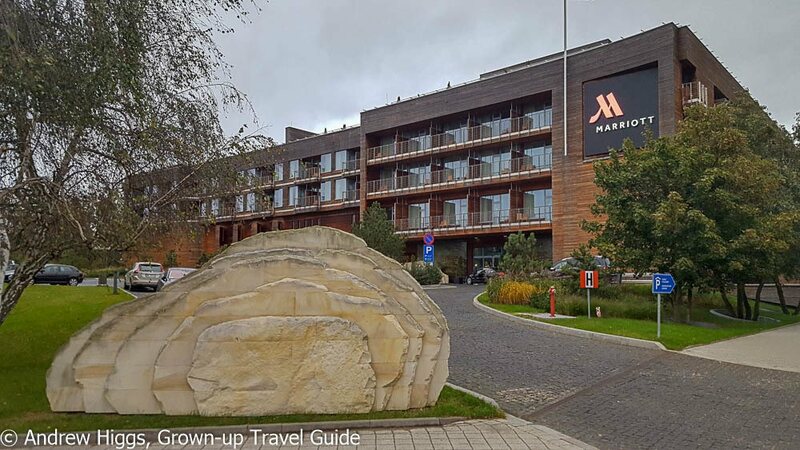 With my wife in tow, I booked 3 nights at the Sopot Marriott where we would stay while in town for the Roger Waters concert at the Ergo Arena, which is within walking distance of the property. 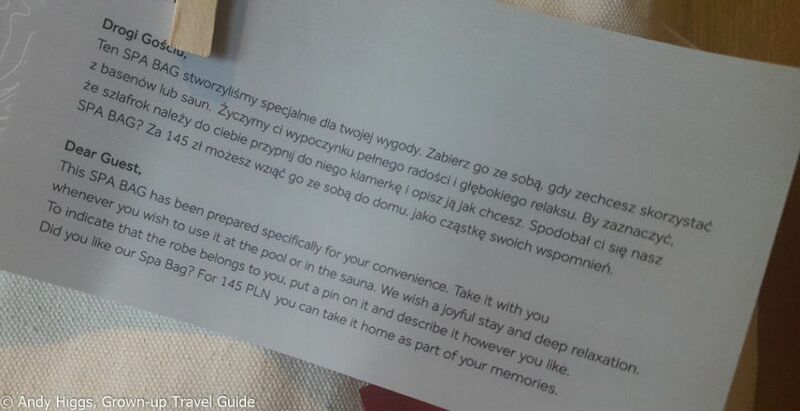 In the interests of disclosure: my first trip (four nights in October 2017) was sponsored by the Pomorskie Regional Tourist Organisation as well as its service providers but my most recent stay (three nights in August 2018) was 100% paid for from my own pocket. We travelled right at the end of the soon-to-be legendary summer heatwave of 2018, so were able to catch some rays in between spa treatments, swimming in the sea and hopping in the pool(s). But I am getting ahead of myself here – let’s start at the beginning, shall we? Early August 2018, early October 2017. 145 rooms over 4 floors. 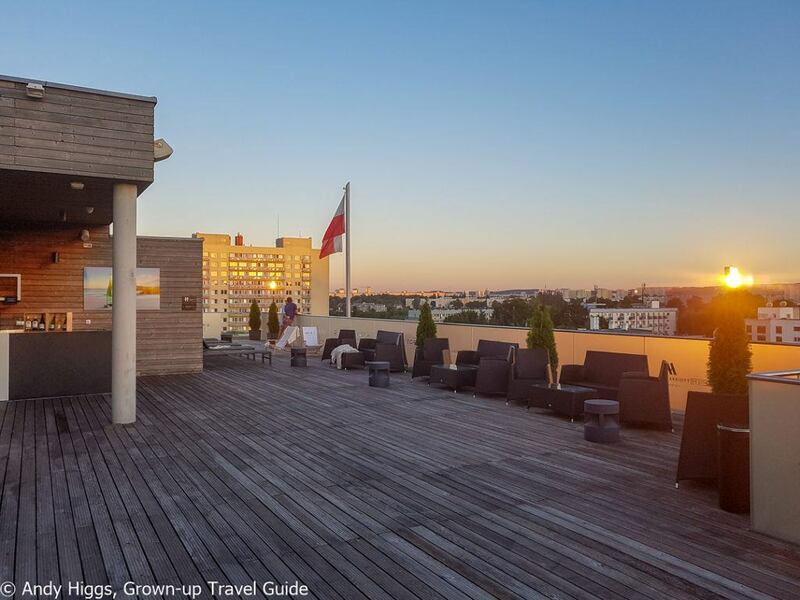 The Sopot Marriott is located a couple of kilometres south of the town centre with the long sandy beach just a few steps away across the promenade. If you are coming from Gdansk airport it will take about 30 minutes by taxi depending on traffic and the meter will stop around PLN 80 by the time you reach the front door. You can walk to the famous wooden pier and Monte Cassino main drag in about twenty minutes along the beachfront path which is lined with cafes, bars and restaurants if you want to break your stroll for some refreshment. These places are of course seasonal and while everything was shuttered in October we we were spoiled for choice in August. The Marriott also makes an excellent base from which to visit the other components of the Tri-City area. The many attractions of Gdansk are 30 minutes away by taxi to the south and there are also regular and cheap public transport connections. The lesser-known but very pleasant Gdynia is located a similar distance to the north. The hotel has an outdoor car park and charges PLN 5 per hour or PLN 35 per day. 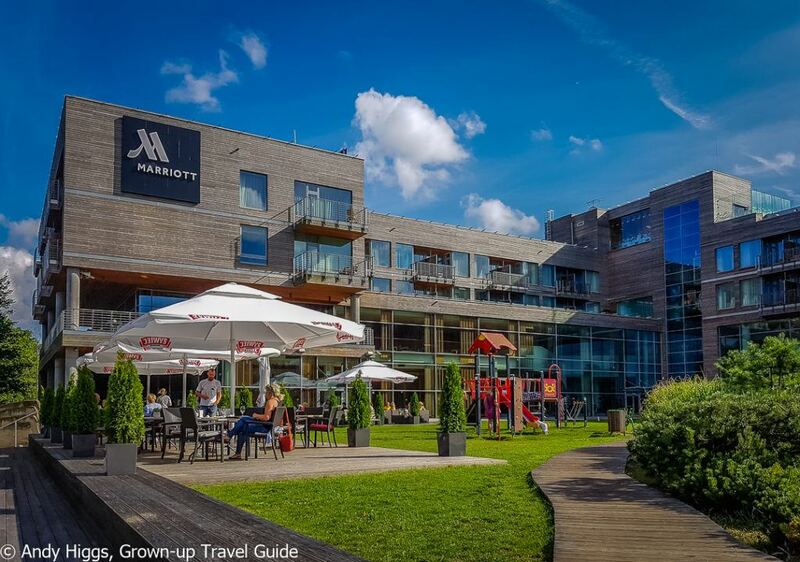 We have established that the Sopot Marriott Resort & Spa has an excellent location, so there is that. 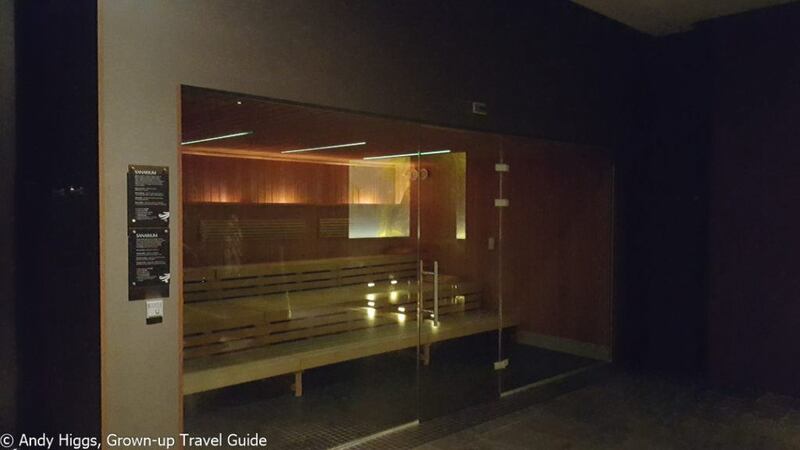 But it is the last part of that rather long name that is perhaps the main draw for most guests – the spa. More on this later. For those looking to relax, the Mera Spa is going to tick ALL the right boxes and treatments here are excellent value for such a high-end experience. There is also an extensive wellness centre with pools, sauna, steam bath etc. and even a rooftop pool for the summer months. Whatever the weather, you can pamper yourself all year round here. 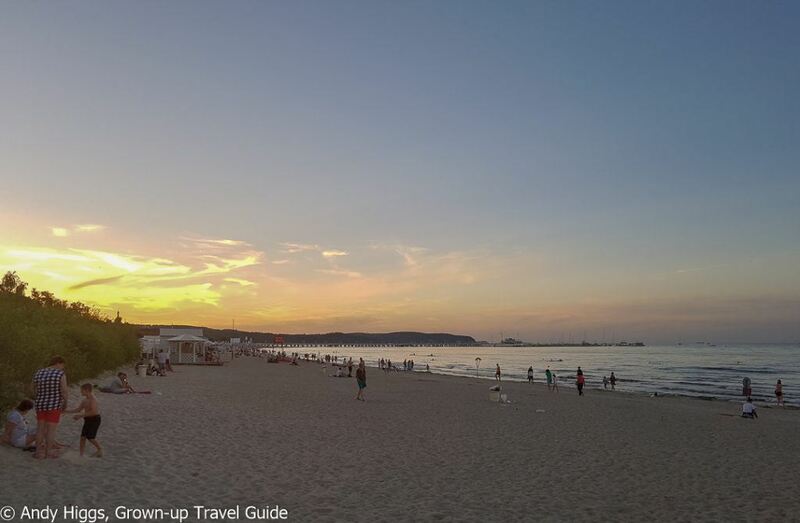 It doesn’t stop there – the restaurants are excellent and while not the cheapest in Sopot they still offer better value than you might expect from a four-star hotel. 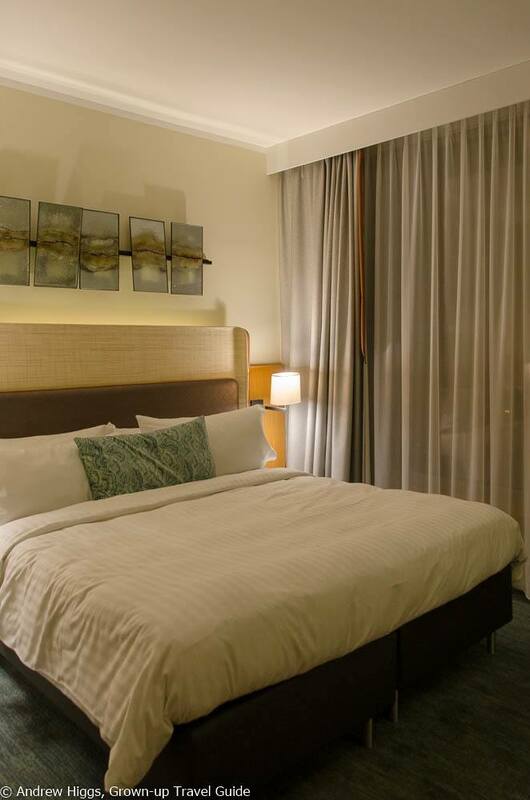 There are 141 guest rooms classified as either Standard or Superior as well as four Suites. 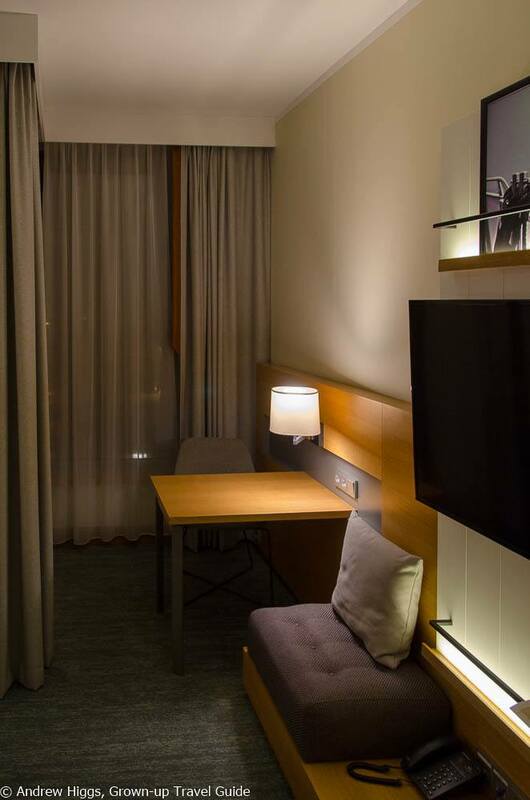 The Standard and Superior rooms are available in various configurations such as double, twin or family (the latter with one double and a sofabed) as well as with or without a sea view and balcony. In October I stayed in a Standard Double room and this is the one pictured here. 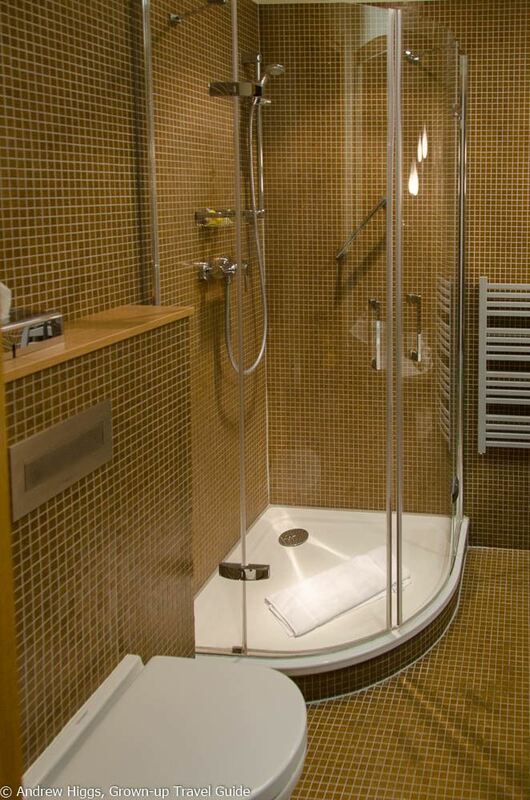 During our summer stay we were lucky enough to be upgraded to a Superior which is larger and in our case had a bathtub with shower rather than a shower cabinet, but was otherwise identical. I found both rooms to be extremely comfortable, stylish and well-designed. I made extensive use of the desk last year as I had work to do but was here purely on holiday this summer and had no need for it. Which was nice. Anyway the point is that you can get boring things done while staying if you need to. 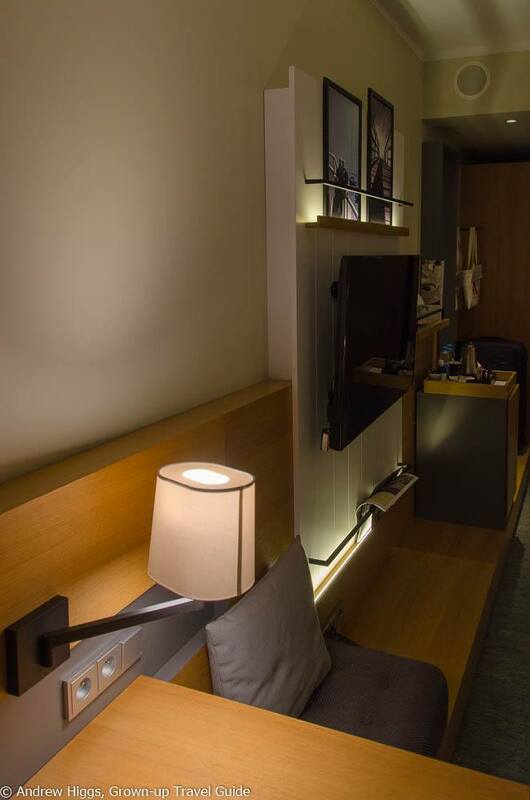 There are plenty of power points both by the desk and elsewhere in the room, too – so you won’t be having to unplug the minibar or television to charge your phone. 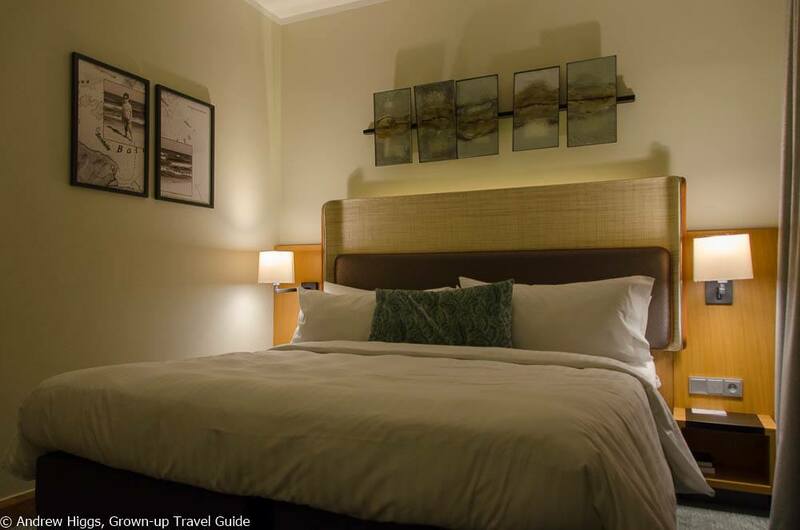 Everything is modern and well-maintained – the hotel only came into the Marriott Group in June 2017 and was extensively upgraded. Indeed many locals (and some taxi drivers) still refer to it by its old name, the Mera Hotel, which is worth bearing in mind if you are trying to get back from Gdansk late at night and are faced with a blank look when asking for the Marriott in Sopot. 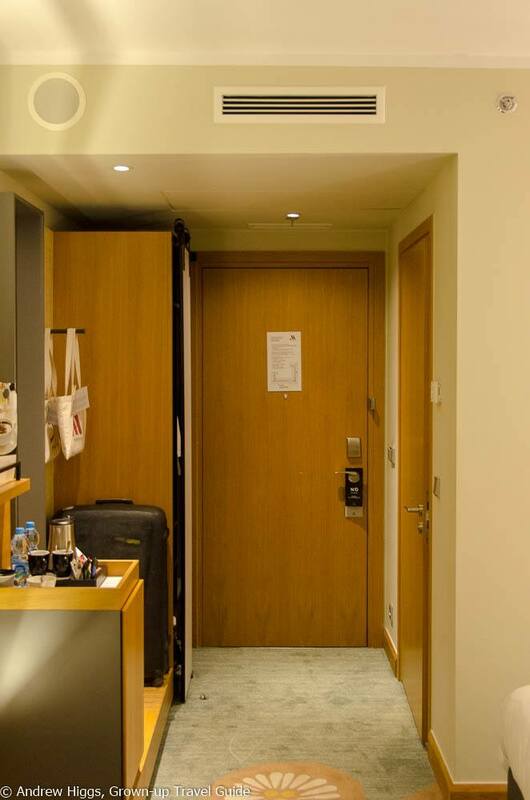 If you are travelling as a couple for an extended stay you may find the wardrobe space in the Standard room to be a little tight, in which case I would recommend going for the Superior, But for a long weekend or those travelling solo, there is enough storage space. 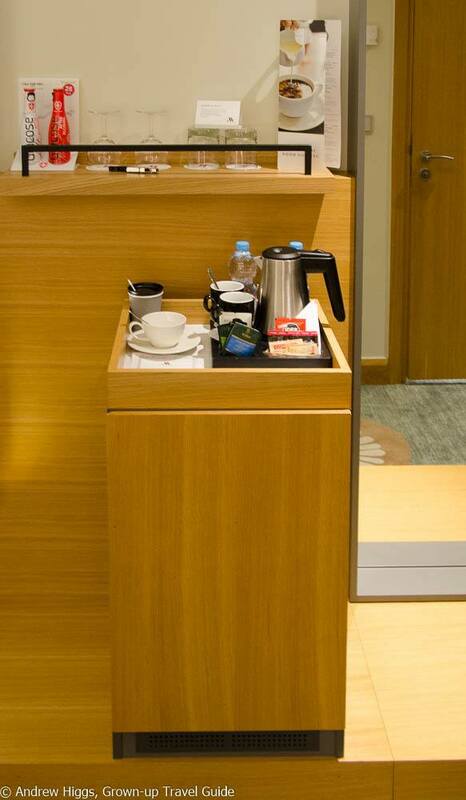 Tea and coffee-making facilities are always a plus, and the quality of both was good here. 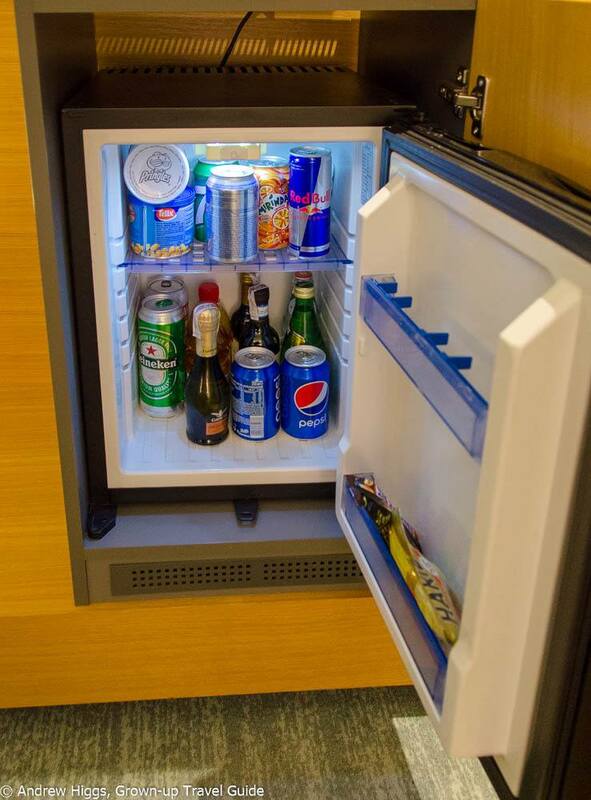 I am also apparently one of the last advocates of the mini-bar so was happy to see a fully-stocked one here. Yes, it is expensive but I still enjoy indulging in an ice cold beer upon arrival after a long journey. Maybe that’s just me, but in any case you can use the fridge space to keep your own drinks cold too. 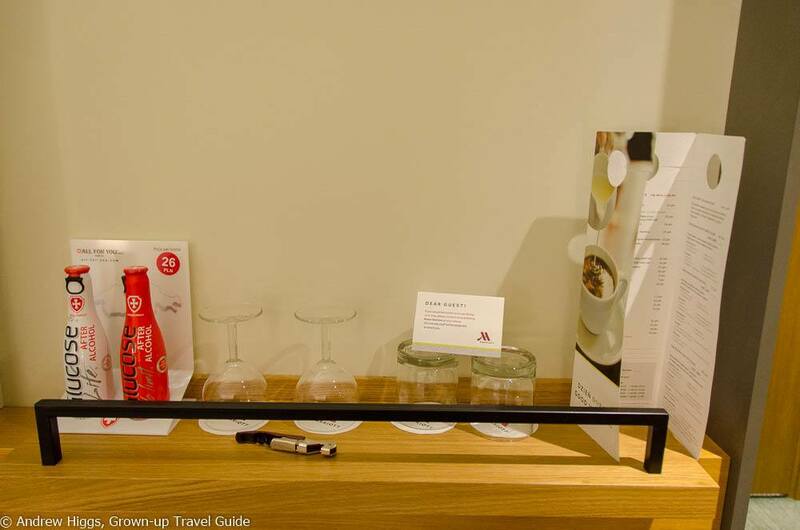 The provision of a couple of bottles of water is a nice touch although the tap water is fine here, so it is not strictly necessary and you can do your bit for the environment by leaving it for the next guest. The TV had more channels than I had time to scroll through on either occasion, but if you really can’t live without English-language news, blockbuster movies dubbed into Polish or local soap operas you will be well catered for here. You strange person. The bathroom in the Standard room was compact but well thought-out. The basic design was identical in the Superior room but we had an over-bathtub shower and a separate toilet and the wall separating the bathroom from bedroom was glass, yet had a curtain that could be pulled across for more prudish (or less “familiar”) couples. 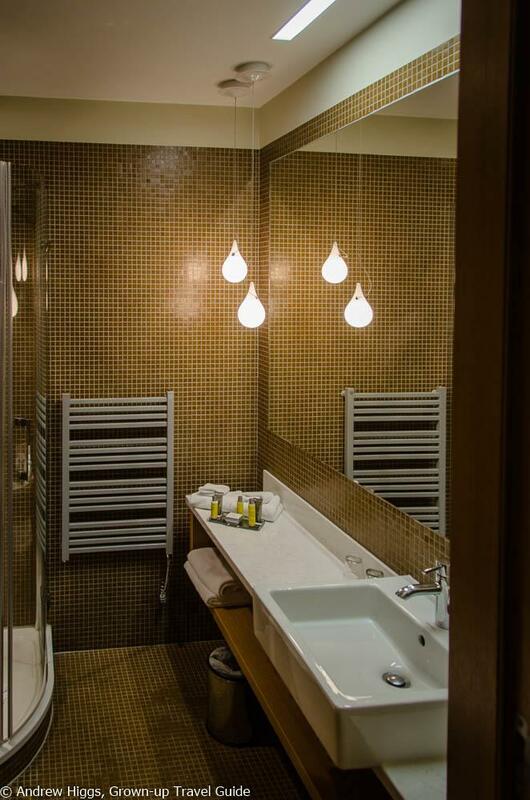 The heated towel rail is useful and encourages guests to reuse their towels, which is obviously a good thing. The shower cabinet was almost leakproof, but the floor got wet when the door was opened outwards. Not much that can be done about that given the space available and it was still better than 90% of hotel bathrooms I have stayed in that often end up waterlogged. 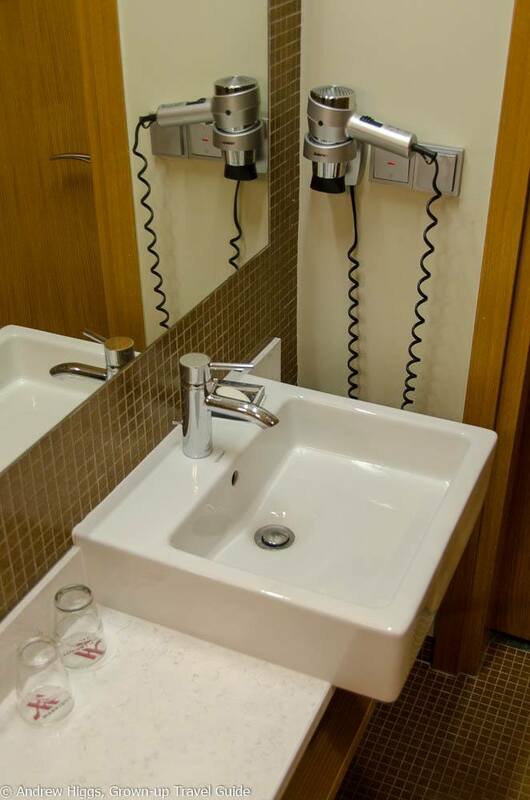 A hairdryer is provided and easily accessible, if you should need one. 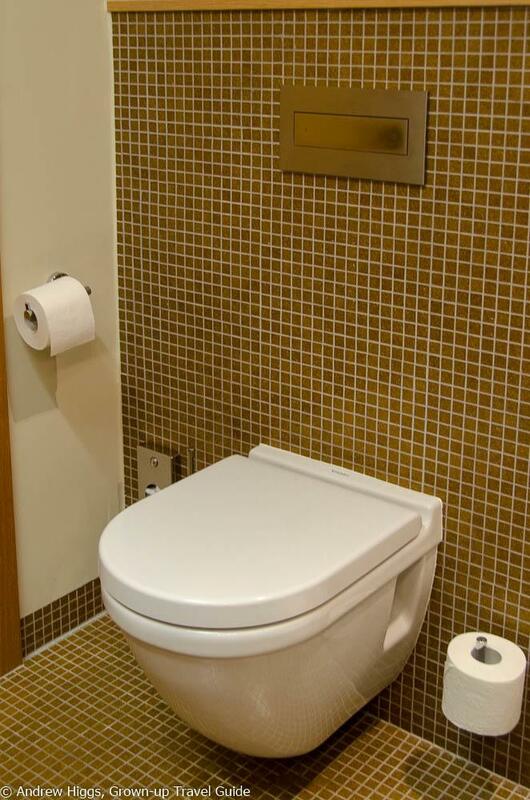 Wall-hung toilets are very much the way to go these days, and are much easier for cleaners to work around. 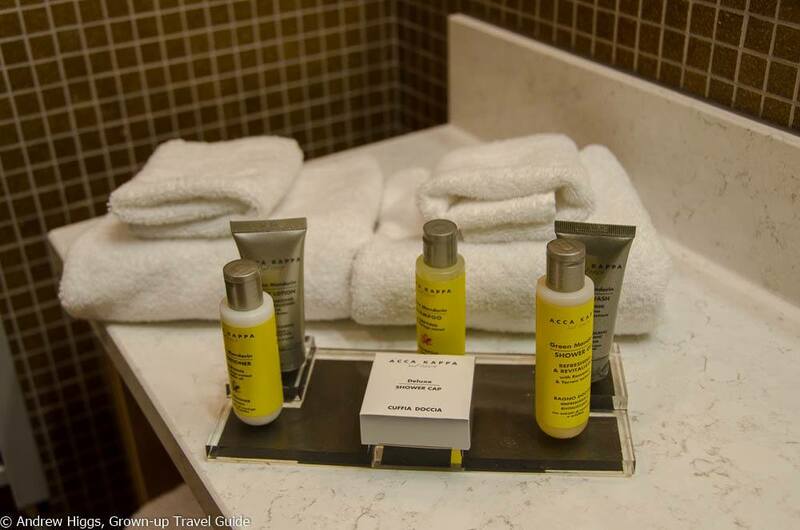 The toiletries were of excellent quality as befits a spa hotel. From an environmental perspective I prefer a dispenser in the shower rather than individual bottles but I do know that a lot of travellers dislike “sharing” shower gel with previous guests. Do use up the toiletries before having them replaced and perhaps do what I do and take any leftovers to use at home, in the gym or on further travels? Every little counts, after all. Yes, free and and good quality wi-fi is available all over the property. If you are a member of the Marriott Rewards loyalty programme and book directly (which you should) then you are eligible for free higher-speed wi-fi as well. I used both services during both stays, had a number of devices online at the same time and never had issues. There are two restaurants and a lobby bar area. The Mera Brasserie is on the ground floor and is also where breakfast is served. Open for lunch and dinner, it serves very good local and international cuisine and also has an impressive list of Polish craft beers. We loved the salads and the pirogi here. And the beer. The outdoor terrace is hard to leave in the summer, too. On the first floor you will also find Pescatore, offering Italian cuisine a la carte. I did not get the chance to eat here but it has an excellent reputation for both the food and wine selection. You have quite a choice at the Marriott Sopot. The cream of the crop on a hot day is the rooftop infinity pool (open summer only) which I finally got the chance to try out in August. The views are spectacular, the water is warm and there are sun loungers to soak up the rays. But that is not all. Oh no. 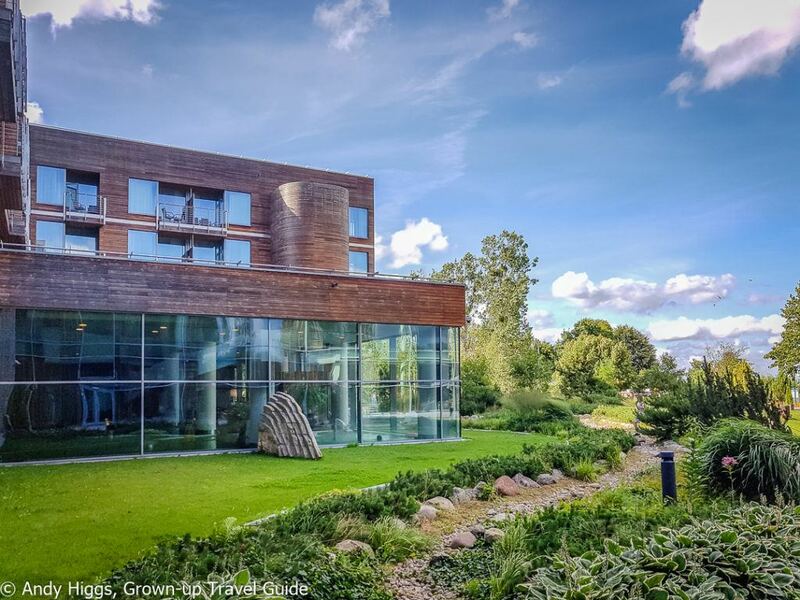 The hotel has a huge wellness area on the ground floor – here glimpsed from the outside – with three indoor swimming pools as well as indoor and outdoor jacuzzis (weather permitting). 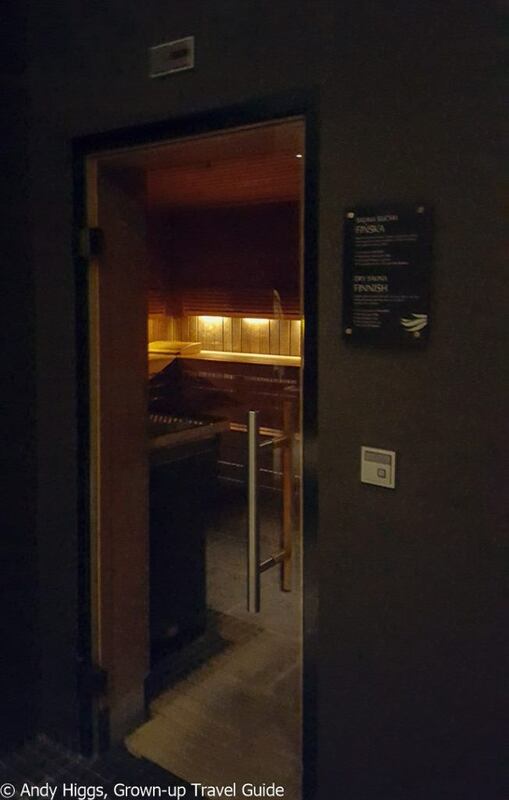 There are two identical sauna areas, the major difference being that one is ‘textile-free’ and in the other guests have to keep their speedos on. A tip here – go naked. 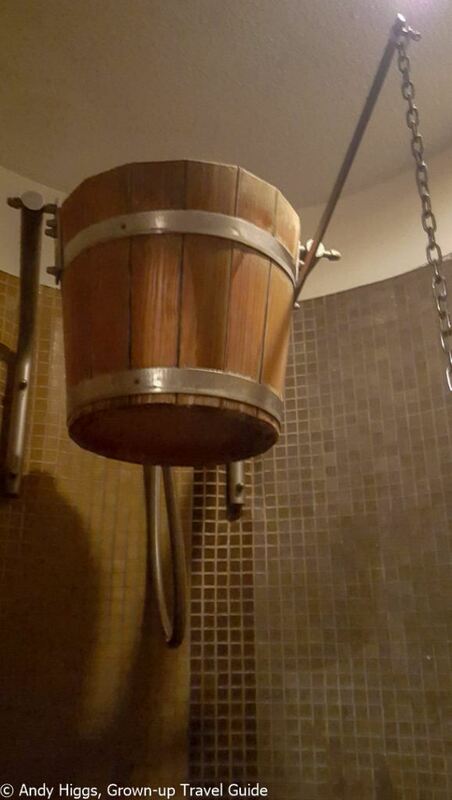 I will give you two reasons: first of all because this is the only real way to enjoy a sauna or steam bath (yes, I have perhaps been to Finland too many times but I am a total convert) and second of all because nobody else does and you get the place to yourself like in the picture above. Even in the summer. Seriously, it will make you feel alive like never before. Trust me. 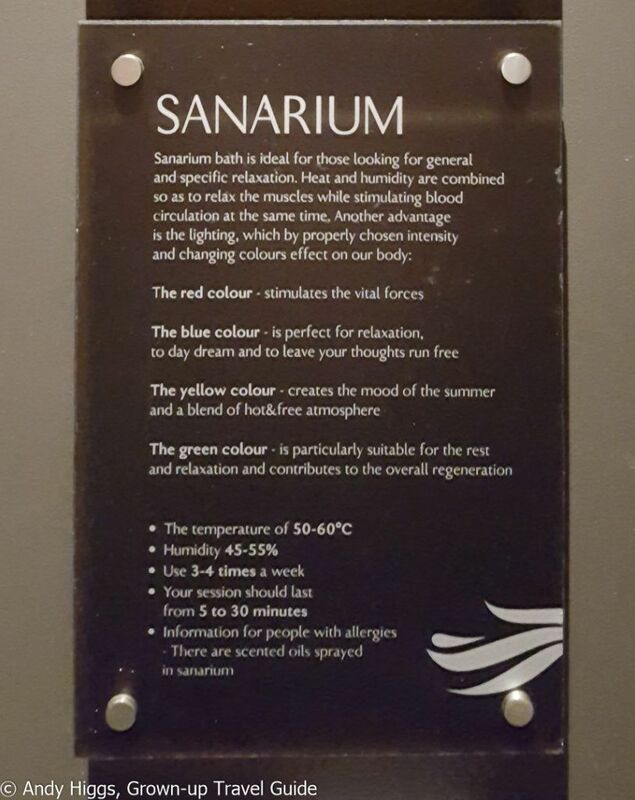 This is a Sanarium, in case you were wondering. 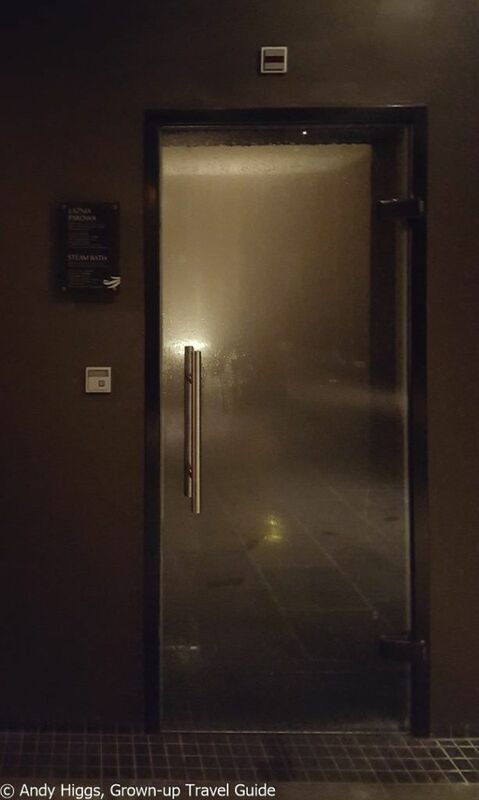 With an amazing 35 treatment rooms it is one of the largest hotel spa facilities in this part of the country which means that even in peak season you will be able to book an appointment provided you do this before you arrive. Booking is simple, Mera Spa has its own website where you can get full details of treatments and prices. Send them an email and they will respond quickly to confirm your appointment. You’ll find a bag waiting in your room with a towel for use in the spa and pool areas, as well as a bathrobe and slippers. You can even buy it as a souvenir if you so desire. I have now been lucky enough to try four(!) different massages at Mera, and without exception they were fabulous. In particular the signature Amber massage is amazing – and amber is a big part of life in this part of the world so it is only fitting to try it out. I can vouch for that. Just don’t have anything much planned for afterwards, as you will feel so relaxed that you won’t feel like shifting gears for a while. The breakfast was included, right? 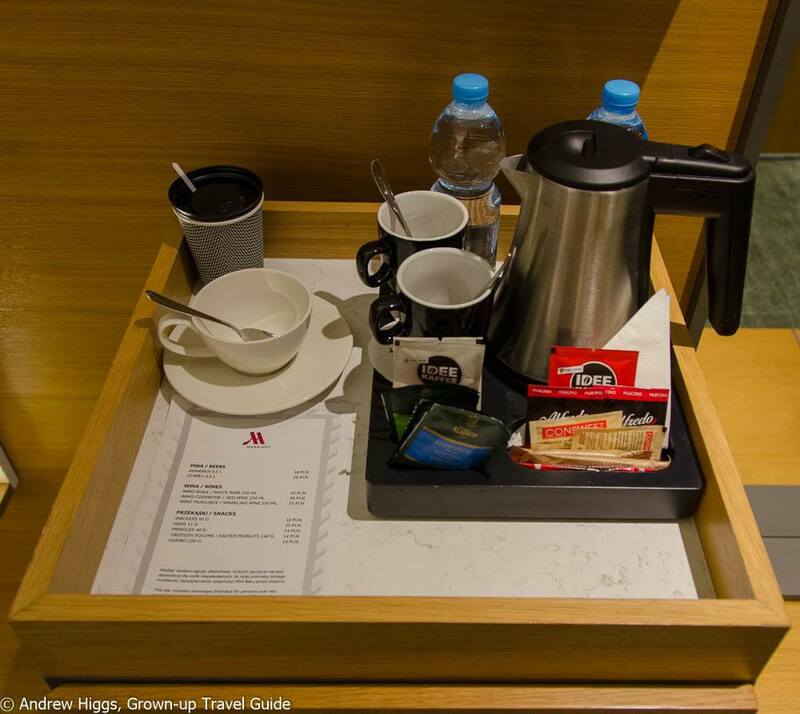 It depends upon the rate, as is standard with Marriott. 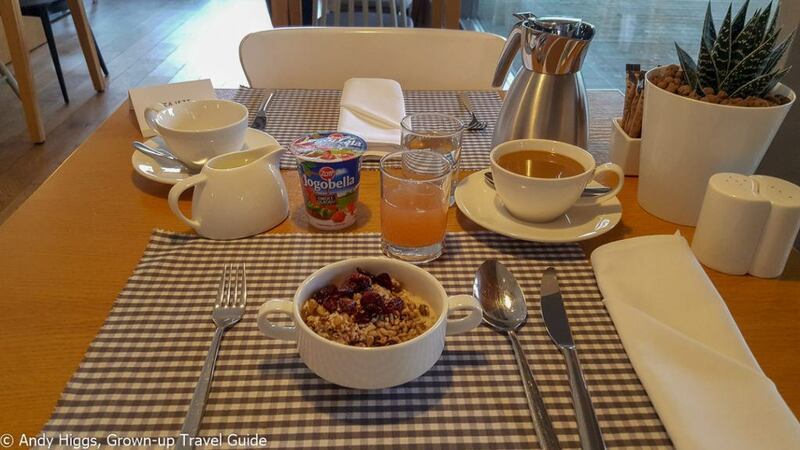 I would urge you to go for a B&B rate as the breakfast is fantastic – indeed it was one of the highlights of our stay. 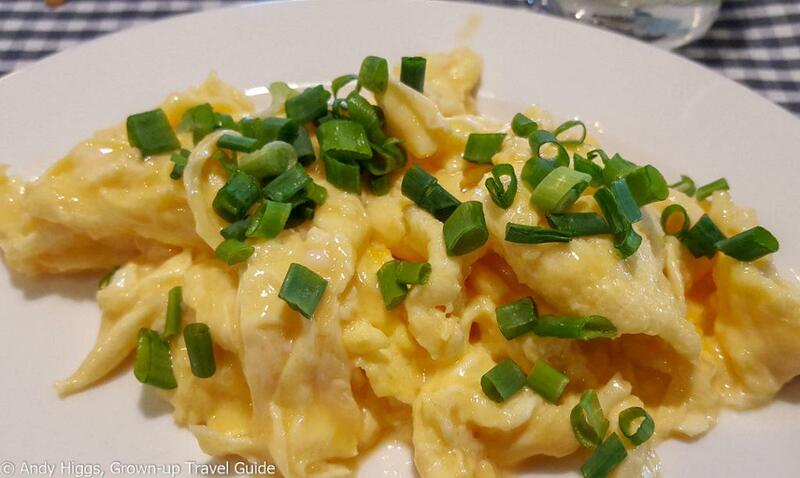 As well as a sumptuous buffet (including some of the best scrambled eggs I have tasted to date) you can order other dishes like omelettes and Eggs Benedict – all of which are delicious. Service was perfect in every interaction we had with all the staff at the hotel from start to finish. They all seemed happy to work at the Marriott and took an obvious pride in their work. There were also enough staff on duty to take care of a full hotel without being put under pressure – something I see far too seldom these days. 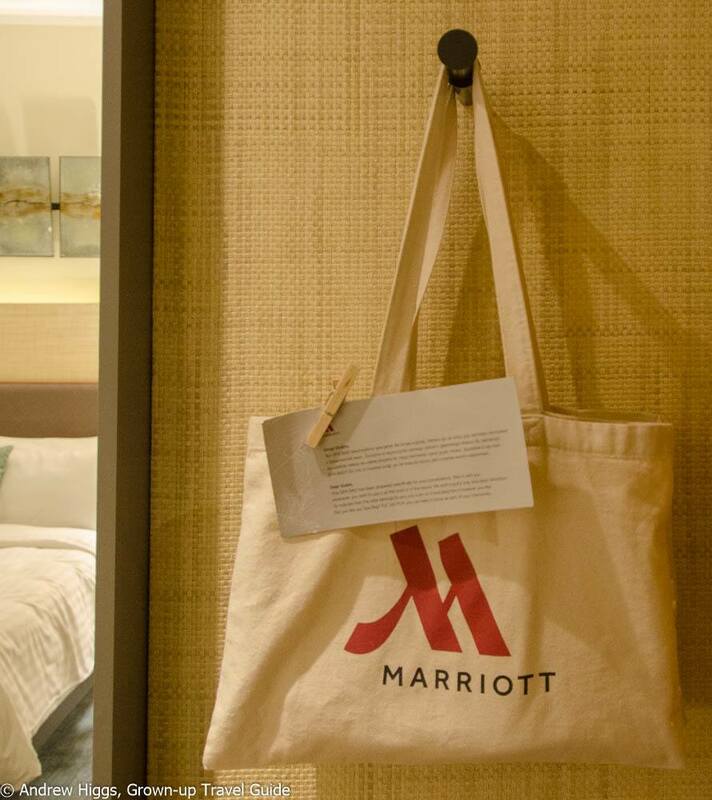 Yes, you can earn Marriott Reward points for your stay here. 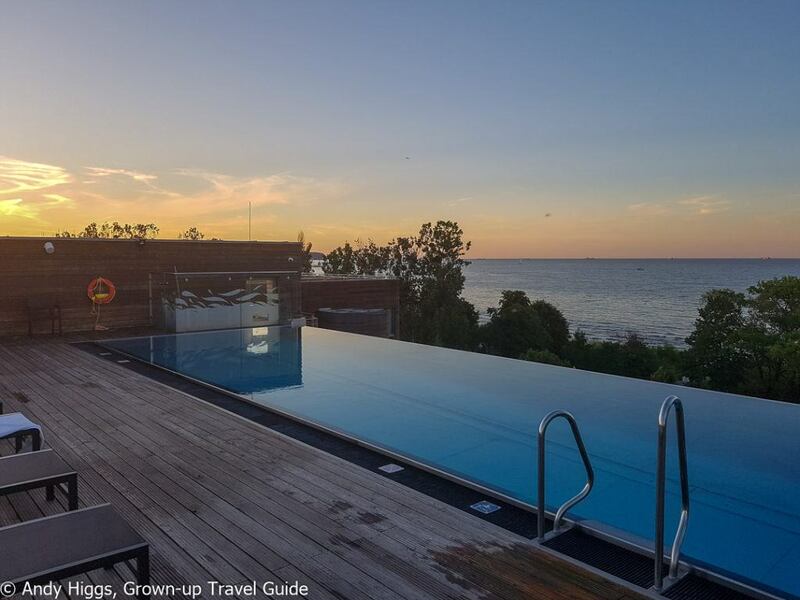 With the recent acquisition of Starwood, the new programme makes these points even more valuable in that it now includes the SPG portfolio. Can they look after your bags after you check out? Yes, they will be happy to do so. Rates vary throughout the year, and are of course at their highest in the summer. We paid PLN 964 per night for a Standard Double including breakfast, and were upgraded to a Superior due to my Marriott Rewards status. That is about the most you are likely to pay, and comes in at around GBP 200/USD 250/NOK 2100 per night. 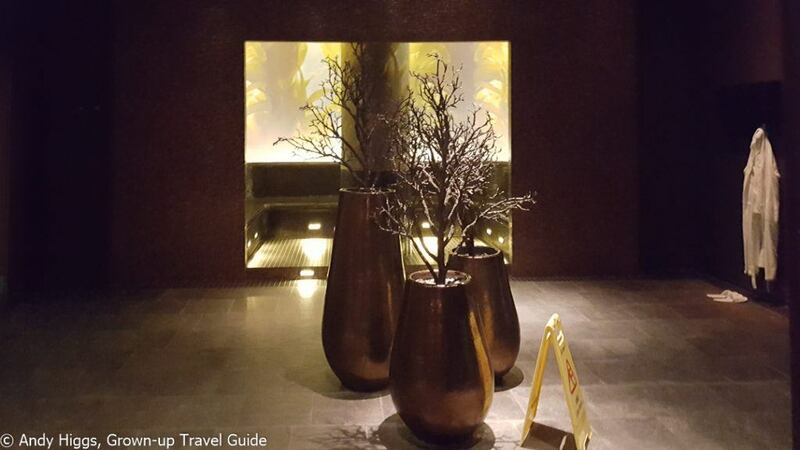 Even at this rate, I think the Marriott is superb value, especially with spa treatments being so reasonably priced. At other times of the year it is an absolute bargain – rooms in September on a B&B basis can be had for just over PLN 600 and by October the price is close to PLN 500 for advance booking. Everything about this hotel is good – in fact it is excellent. I can’t find anything to put my finger on, which is quite something after a total of seven nights spent here. 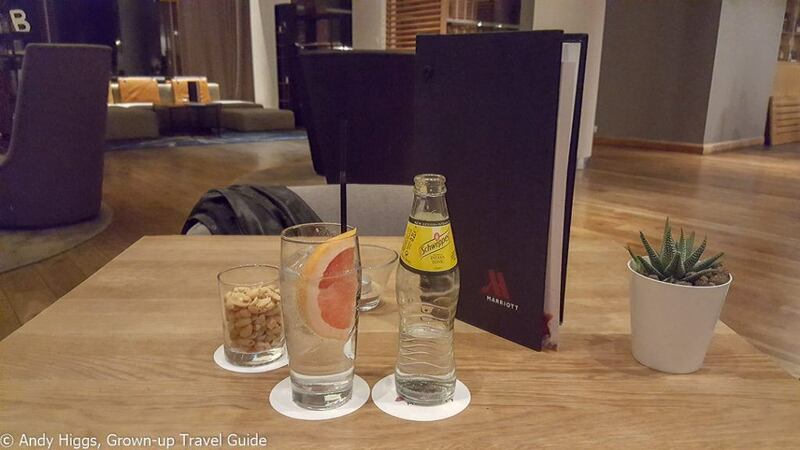 Sopot is a wonderful town at any time of the year and the Marriott is the place to stay as far as I am concerned. I have said it before and I’ll say it again – all in all this is my favourite hotel in the world so far and I urge you to check it out for yourself. If you are planning a trip to the Tri-City area of Gdansk, Sopot and Gdynia, read my trip report starting here if you haven’t already.